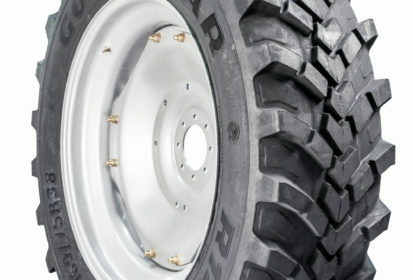 Titan International has expanded their tire line with the Goodyear R14T for compact tractors. The new crossover tire is available in 14 sizes to allow compact tractor owners up to 150 horsepower. With the R14T, Titan engineers combined the traction and cleaning features of an R-1 with the wear and ride features of an R-4, along with the lessened tire disturbance that an R-3 tire delivers. From hard concrete surfaces to softer soils, snow and sensitive turf, the R14T is designed to perform equally well in any conditions.